We believe that usage of enabling technology makes the teaching and learning easy. That’s why we’re utilizing new technologies to build a future where students and teachers are inspired, engaged and connected. Our vision is to be one of the leading company developing educational innovative, intelligent technologies in the world. VeduBox makes education, training and communication more effective, attractive and engaging as well as much more scalable and affordable. 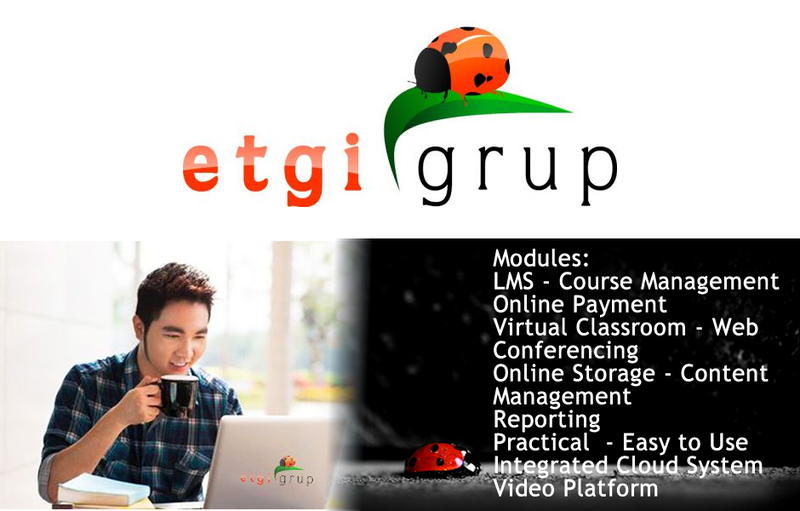 ETGI Group is a family of companies, providing E-Learning solutions to a world where knowledge has become the single most important asset. The group’s business is centered around a flexible, user-friendly and expandable integrated cloud SAAS LMS product called VeduBox (Virtual EDUcation BOX). 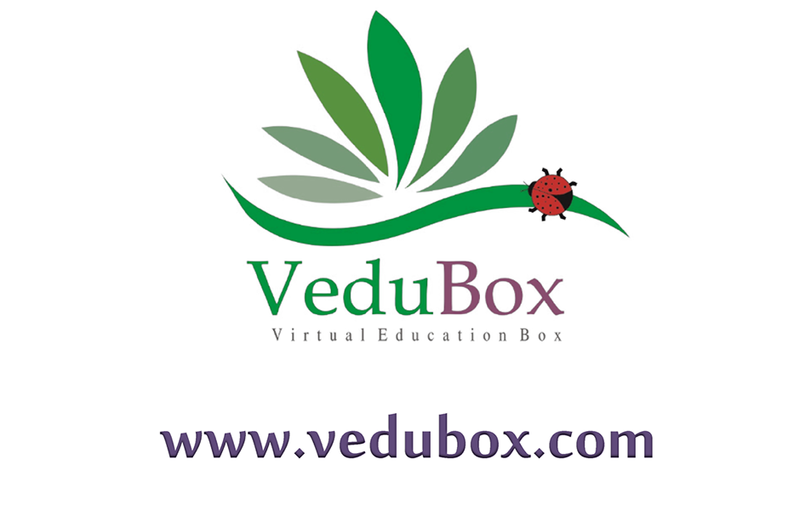 Presently in use in both academia as well as corporations, VeduBox has proven to be a highly reliable and versatile platform, connecting teachers and students around the world. In simple terms, VeduBox allows both educators and students to interact live, share virtually all types of documents, assess performance through live and on-demand exams, as well as record and re-watch classes. 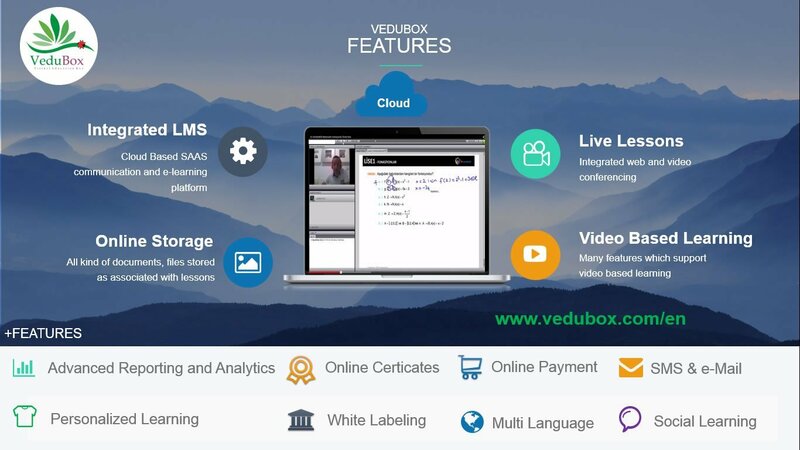 VeduBox is an Innovative Integrated Learning Management System (LMS) which is is a cloud-based all-in-one platform that comes integrated with 4 core platforms in one unified solution – courses platform, online testing platform, award-winning video conferencing and content management system. It makes cloud-based online learning and training better for everyone. It’s easy to set up, completely customizable, and totally secure. It’s flexible enough to handle as many learners as you need it to – and robust enough to deliver detailed tracking and reporting on each and every one of them. The result is significant cost savings, increasing productivity, and secure, seamless and enhanced user experience across all platforms. Our clients include corporates, training center, education companies as well as tutors. We work with clients internationally providing solutions to their training and eLearning needs. We also work with organizations looking to train their employees, partners or customers using web and mobile-based training. VeduBox is not just an elearning tool, and it is not just a single product – it is a product that was designed to be delivered in SaaS as a platform of features and modules that can be enabled or disabled per customer requirement/s. It is extendable and flexible, with a component based architecture. This unique approach means companies can rapidly extend and scale their solution according to needs. What’s more VeduBox can easily be integrated with your existing IT systems. The integrated LMS is very easy to use and has been widely recognized for its user friendly and modern user interface. It manages, delivers and tracks Web-based Training (WBT), Instructor-led Training (ILT), Blended Learning activities, as well as Live Training and Educational sessions. Why do people love VeduBox? *Automatically scalable service : theoretically it can give service to unlimited customers with unlimited users.